Fengum skyndihugmynd og skelltum í smá Star Wars myndatöku í tilefni dagsins. Þú velur námskeið, vöru eða upphæð á gjafabréfið sem má nýta í alla þjónustu og vörur sem við bjóðum upp á. 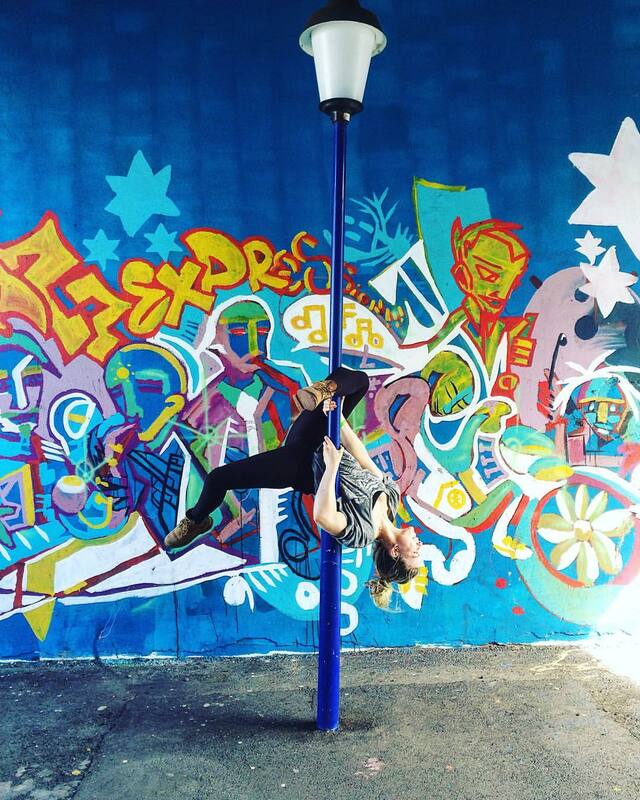 Pole Fitness námskeið fyrir nýbakaðar mömmur með börn á aldrinum 0-6 mánaða þar sem börnin eru velkomin með í tíma. 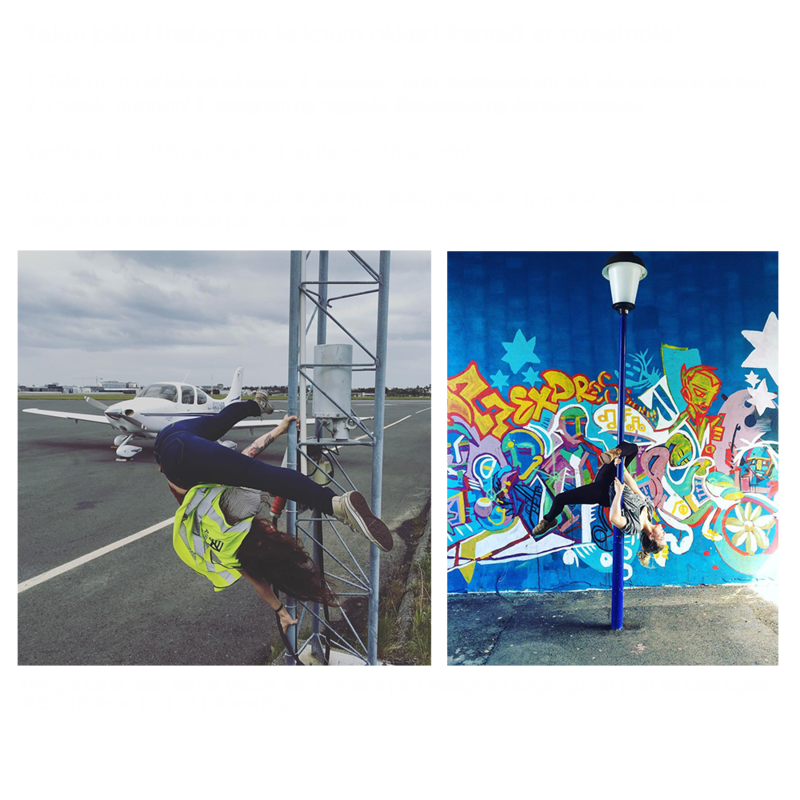 Námskeiðið er byggt upp á svipaðan hátt og Level 1 þar sem farið er í grunnæfingar í polefitness, snúninga og klifur sem og sérhæfðar styrktaræfingar fyrir core- og mjaðmasvæði, sem eru mikilvægar eftir meðgöngu og barnsburð. Námskeiðið er miðað við byrjendur og sérsniðið að nýbökuðum mæðrum, svo ekki eru gerðar neinar lágmarkskröfur um reynslu, styrk eða liðleika þátttakenda. Námskeiðið er uppbyggt þannig að það henti öllum nýbökuðum mæðrum og unnið verður með öllum við að byggja upp styrk og liðleika frá grunni. 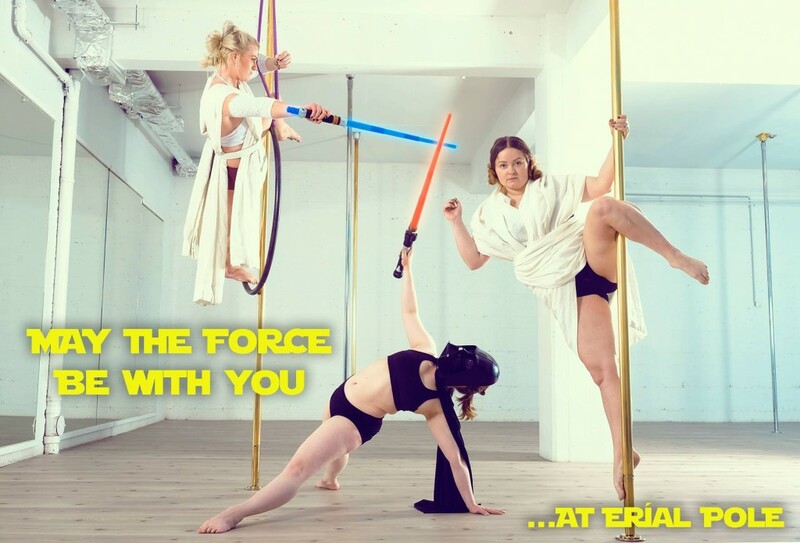 Eva is tucked away in beautiful Iceland at Erial Pole. She’s got no formal training and told me once that she hated gym class in school. She’s got a booty to die for, some feminist politics that will melt your heart, and is one of three people in this entire planet to teach me into an aeysha (I’m 5 years into that journey with no real success to speak of). She teaches balance and movement in a very intuitive way and always knows exactly how to fix whatever problem you’re running into with a pose or flow. I have had the privilege of training with her for one month last year and she teaches in Icelandic with a bit of English here and there. I speak no Icelandic and still managed to get more than I could handle out of every single class, which is a testament to her kinetic awareness and execution. 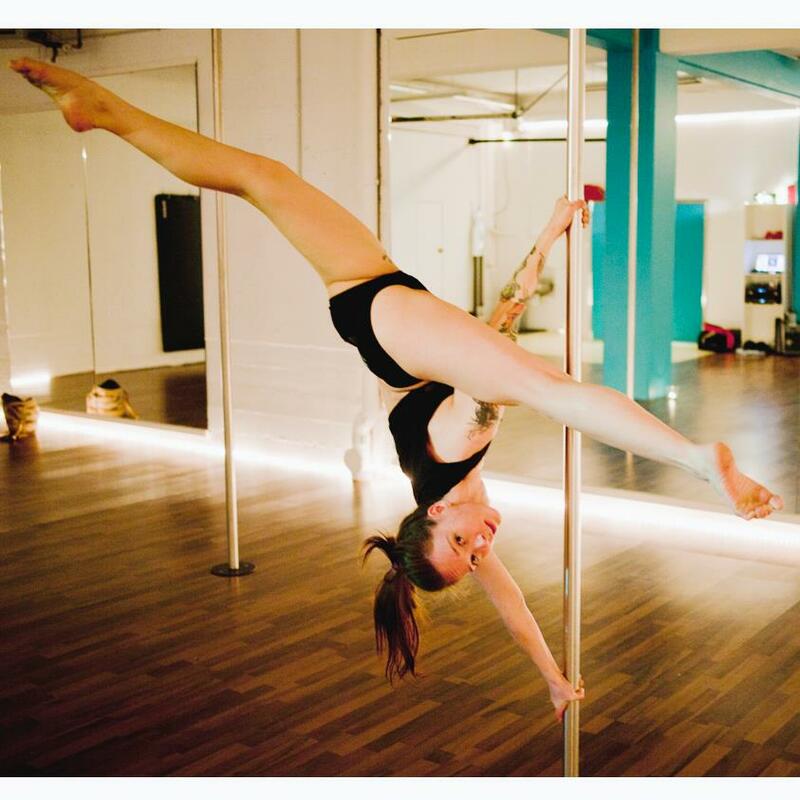 Eva is strong, flexible and she belongs in a studio classroom teaching girls because she is simply fantastic at what she does.